Cable, throttle, T-handle locking. These are late type contract which have \r\nthe smaller T handle. 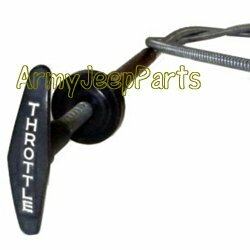 We also offer the exact throttle NOS with the heavy T handle.\r\nSee other listing for throttle.